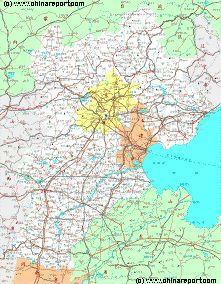 Geographic Maps on Datong City and Area of Wu Tai Shan, North Shanxi Province. Includes location of Datong Great Wall of China Pass (YanMenGuan), the Hanging Monastry of Hunyuan Village, Mu Ta Pagoda at Ying Xiang Village, the Yungang Caves World Cultural Heritage Site at Yungang Village and the Wu Tai Shan Holy Mountain Area of North China. Geographical Map of Datong's Central City Section located due South of the New City of Datong and the Train Station. 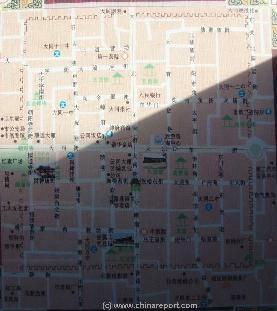 Map includes area within ancient City Walls of the Ming Dynasty with locations of the Four major Streets, Da Xi, Da Dong, Da Bei and Da Nan Dajie's and all major Historic Landmarks within the City Walls of Old Datong. 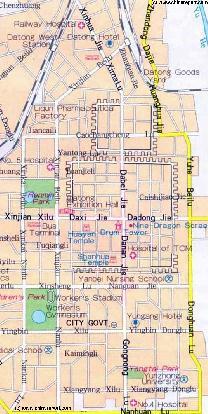 Wider Area depicts Peoples Square with its Bus Terminal and the Main Post Office due West outside the City Wall of the Old City, the Main Trainstation location in the North, the Yu River(=He) which arches around the City in the North-East and East and Datong Yunzhong University in the South. Other famed landmarks & Monuments such as the Datong Steam Train Museum and the Yungang Caves are located well outside this Map on the outskirts of the City and beyond. Other Monuments the Mu Ta Pagoda at Yingxian, YanMen Guang Great Wall Pass and others are located at even greater distance. 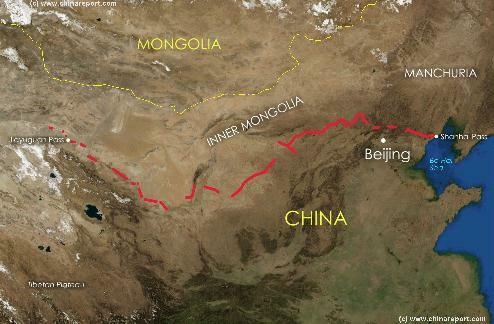 A Satellite image of China and East-Asia, with a super-imposed schematic Map of the location and Path of the Great Wall as constructed during the Reign of the Ming Dynasty. Included for reference are City names, geographical featuresof landscape, Names and locations of Passes on the Great Wall of China. 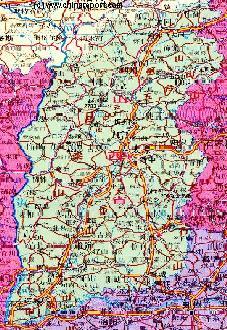 The Datong Report Maps Index gives acces to all Maps relevant to Datong and wider Area of Shanxi Province, as used and/or produced by ChinaReport.com. Please use these Maps to find your way more easily around the City and Area's many Monuments and Landmarks. A Geographical overview Map of entire Shanxi Province and parts of neighboring Provinces of Shaanxi in the West, Inner Mongolia Autonomous Region in the North, Hebei in the East and Henan to the South. 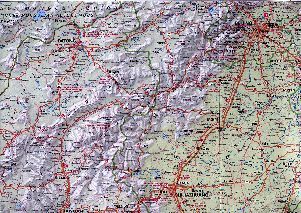 Map includes Location of Main Cities, Airports & Railway Stations, Highways, Railroads, Mountains (with Height) and Rivers, rough location of Main Monuments and Landmarks in Shanxi Province and links to Photo-Virtual Reports with further backgrounds. A short introduction, review and backgrounds to the main geographical feautures, cities and transport routes within Shanxi Province are given per region of Shanxi Province. Rough schematic overview Map of Datong's Old Walled Inner City Section located due South of the New City of Datong and the Train Station. A Full Google Earth Supported Map of Datong by Google.com. The China Report introduced on Levels of its Online Publishing's in April of 2009, including the City of Datong. 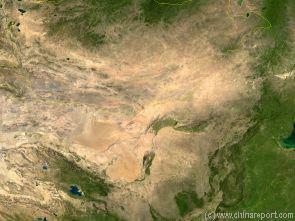 Adjacent Map gives direct access to the City of Datong Map by Google Earth.